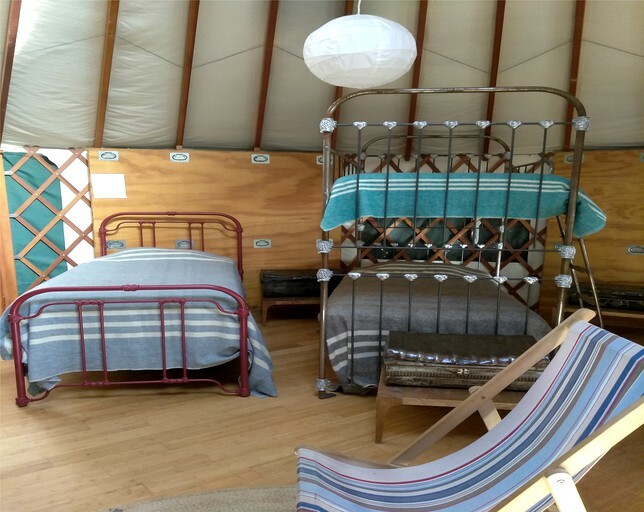 This unusual yurt rental is located in Philo, California, in the lush Anderson Valley and can accommodate from four to 12 guests. In the sleeping quarters, there are 12 twin beds in total. 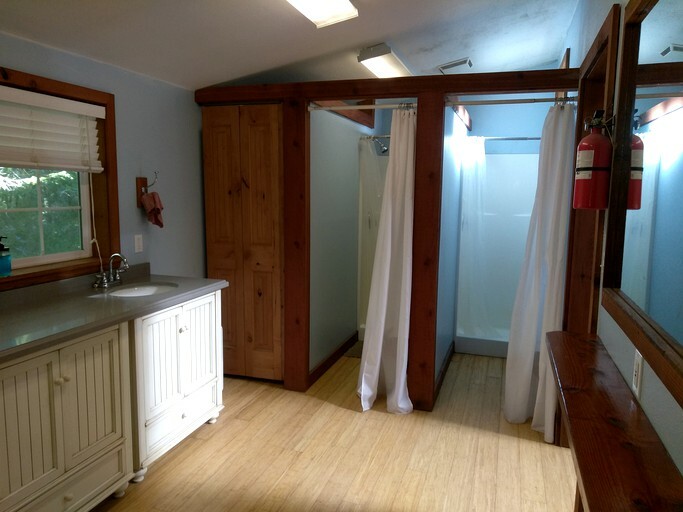 In the full bathroom, guests will find a sink, three toilet stalls, and three showers. Linens and towels are provided. For the yurt, there is a 4 person minimum. 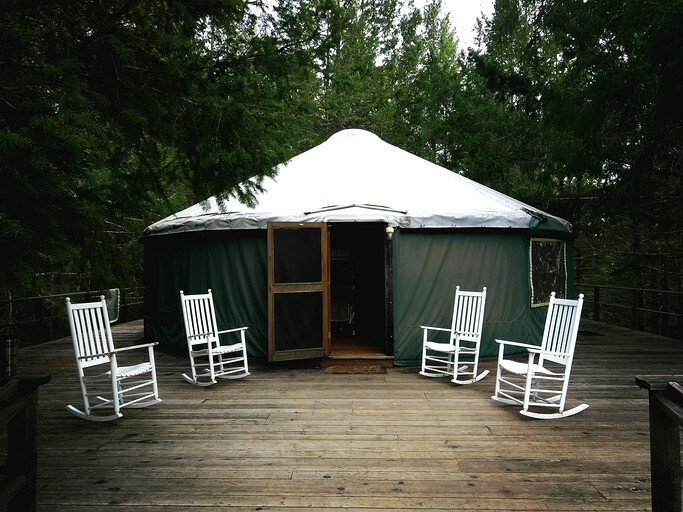 The price for four people in the yurt per night is $200 with a charge of $45 per additional person. If guests would like to book for more than 12 people, they must contact the host for prior arrangement. Other amenities include Wi-Fi, air conditioning, heating, a hairdryer, and parking. Continental breakfast is also provided. This rental includes complimentary breakfast, free Wi-Fi, and parking. For entertainment, guests will find a TV and a small library. No matter the temperature outside, guests can stay cozy with the indoor heating and air conditioning. Outside, guests can roast marshmallows over the fire pit as the stars begin to twinkle in the night sky. Guests can let their worries slip away in the private hot tub and wade around in the pool. Guests have access to over three miles of frontage on the Navarro River. The host offers workshops for small-scale cheese making, mustard and jam making, and bread baking. Guests can also book a guided horseback riding or hiking tour. Right out the door, guests can go hiking, biking, and horseback riding along the nature trails. Guests can wander through the redwood grove, camera in hand, to admire the native birds. 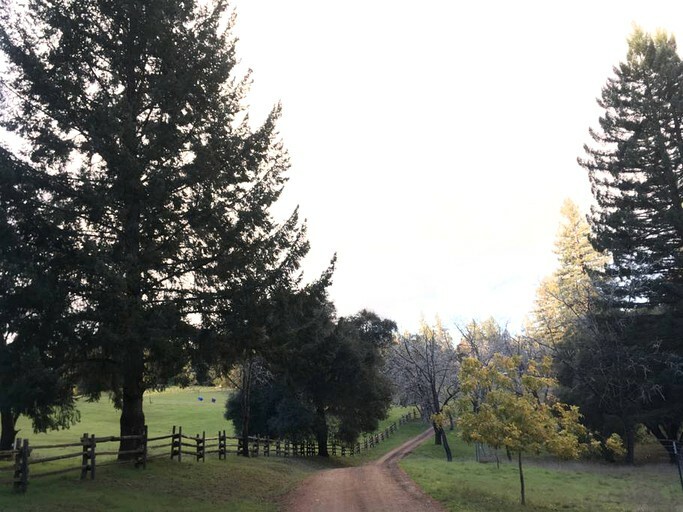 Adult guests can enjoy a visit to an impressive number of nearby wineries, including Handley Cellars Winery and Navarro Vineyards. 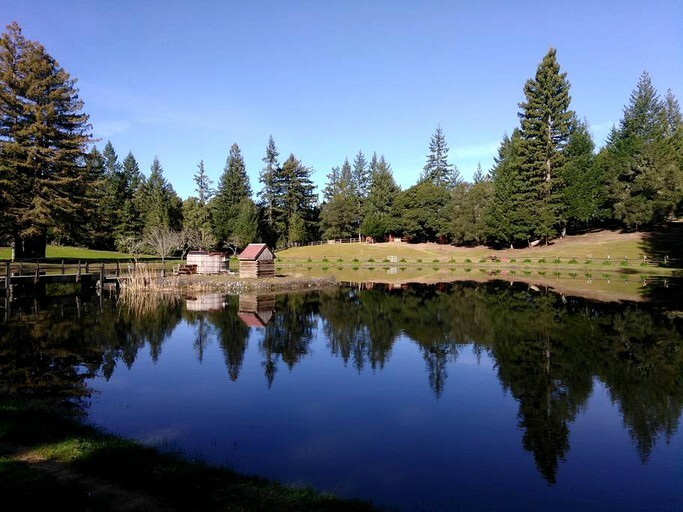 Glampers can hop in a kayak or a canoe to paddle down the Navarro River or cast a line for some steelhead fishing in the fall. Guests can browse the specialty shops and charming pottery studios right in Philo.